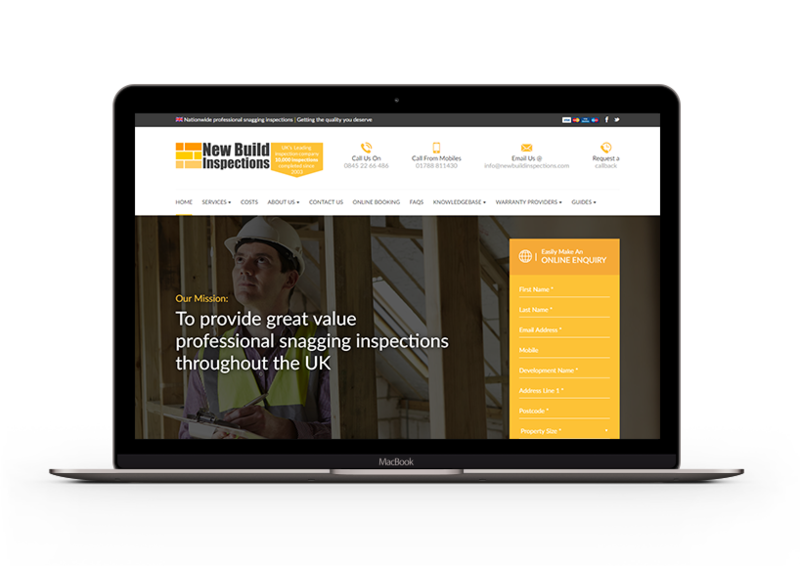 New Build Inspections is a specialist snagging inspection company and that’s all they do, day in and day out. They are a fully independent company and work directly with consumers as opposed to through developers or builders. They have been featured in various publication news outlets, including the BBC, ITV, and Channel 4. 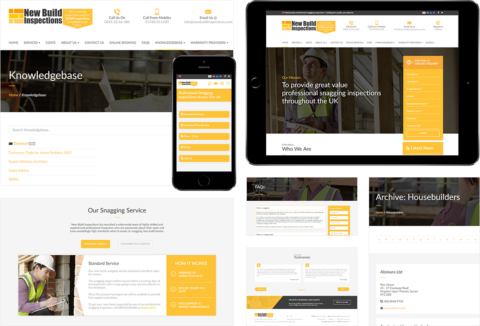 New Build Inspections approached us to update their old Joomla-based website with a site that showcased the comprehensive snagging inspections they do for clients around the UK. The old website had not really been touched in about 6 years and, as we know, things change very quickly in the online world; a website needs to be constantly refined and improved in order to make sure it keeps bringing in leads and sales. We spent time talking to the directors of NBI in order to understand their needs and requirements. After this, we gained a fantastic understanding of what their customers needed in order to trust the company further and help increase their leads. We designed a website with strong call-to-actions throughout; with website projects, you have to tell visitors what you want them to do, so we did just that. Contact information and navigation is easy to find and this helped visitors trust the NBI brand. We also placed in some social proof with the various newspapers and press coverage the NBI company had secured, which helps visitors understand the expertise on offer. Right from the initial discussions with Richard, we knew that they understood our requirements and what we needed to help the business grow. The project ran smoothly and they were quick to answer any queries we had. The final website has helped our marketing and lead generation efforts. Thanks again for the fantastic work.